Cast your vote now for the best products and services for businesses. UPDATE: VOTING IS NOW OPEN - you can cast your votes here, and be in with a chance of winning some fantastic prizes! 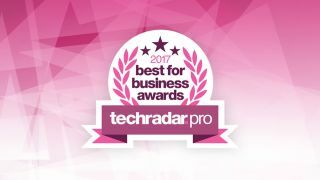 TechRadar Pro is the UK’s largest destination for business users across the UK when it comes to the world's best technology, services and software. Following popular demand, we are proud to announce our first ever Best for Business awards - voted for by top business decision-makers and users. Reaching over 4.4m business users, the awards present an amazing opportunity for 2017's top technology offerings to get the recognition they deserve. Voting is open now, and will close on September 15th, with the winners announced shortly after. So who has made the list of this year's top business technology offerings?